Update: The Spongebob Musical will open on Broadway, December 4th, at the Palace Theatre, with previews starting in November, according to the the Hollywood Reporter. A surprising collection of musicians will write songs for an upcoming theatrical production of SpongeBob SquarePants, dubbed The SpongeBob Musical. 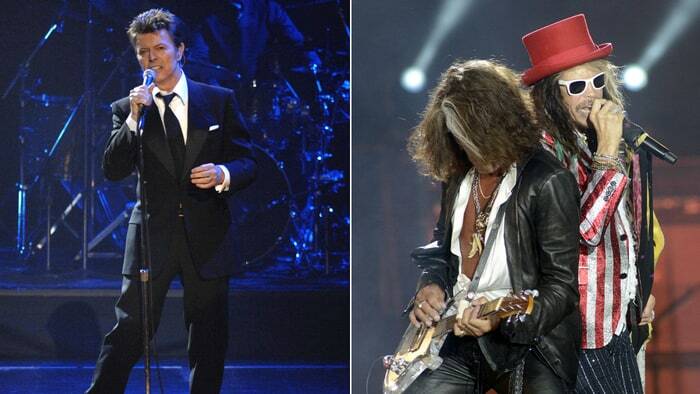 David Bowie, Aerosmith&apos;s Steven Tyler and Joe Perry, Cyndi Lauper, Flaming Lips, John Legend and T.I. will all contribute original songs to the show. Bowie&apos;s tune will feature additional lyrics by Jonathan Coulton, who is also contributing his own song. Other artists who will be contributing songs to the production include Lady Antebellum, Dirty Projectors, Panic! at the Disco, Plain White T&apos;s and They Might Be Giants. The SpongeBob Musical is set to open on July 3rd, 2016 in the Windy City at Broadway in Chicago&apos;s Oriental Theatre. Preview performances will begin on June 7th. It will then open on Broadway in the 2016 – 2017 season. The show&apos;s producers describe the musical as a "rousing tale of a simple sea sponge, who faces the unfathomable," and they go on to describe the show as "a celebration of unbridled hope, unexpected heroes and pure theatrical invention." Director Tina Landau (Superior Donuts) will lead the show, which features a book by Kyle Jarrow (A Very Merry Unauthorized Children&apos;s Scientology Pageant) and music supervision by Tom Kitt (Next to Normal). Casting for the show has yet to be announced. Tickets will go on sale in October via the theater&apos;s website. "We&apos;re taking our leads from the TV show, but this is an original story with an original design approach and original songs written just for the occasion by an amazing array of songwriters," Landau said in a statement. "We will present the world of [SpongeBob&apos;s habitat] Bikini Bottom and its characters in a whole new way that can only be achieved in the live medium of the theater." Earlier this year, The SpongeBob Movie: Sponge Out of Water was a commercial success, becoming the Number One hit its opening weekend. The series premiered on Nickelodeon in July 1999 and has since become Viacom&apos;s most widely distributed property ever, with translations into more than 50 languages. The production&apos;s most surprising contributor, David Bowie, previously lent his voice to the show in 2007, according to Pitchfork. He is also in the process of developing the characters from his movie The Man Who Fell to Earth into its own musical, Lazarus. He&apos;s writing new music for that production, which will star Dexter actor Michael C. Hall.